Interested in trying Sport UHP tires? Then you need to learn more about this product to make an informed decision, so keep reading this detailed review. Do you have a performance SUV or a sports car? This means that you need excellent performance tires, and the good news is that Sport UHP can be your best fit. That’s because these tires offer a directional tread pattern that makes them great for wet weather conditions. Another benefit is that they guarantee quiet riding on highways. Designed to suit different wheel sizes and cars. The highest quality and value. Incredible road handling and performance. As a car owner, you can forget about the increased expenses associated with buying both winter and summer tires. That’s because all season Sport UHP tires offer a perfect solution for any truck, SUV, or sports car driver. Think about the freedom of choice in addition to year-round and reliable services! This lineup is designed to work well in all weather conditions, including wet or rainy days, low temperatures, snowing, draught, and so on. This super performance is ensured by the abrasion-resistant and tough construction and unique tread design of these tires. What will you get after buying them? Be prepared to benefit from excellent steering response and cornering, quiet riding and improved traction. Stop spending your hard-earned money and order all season Sport UHP tires available at quite affordable prices. 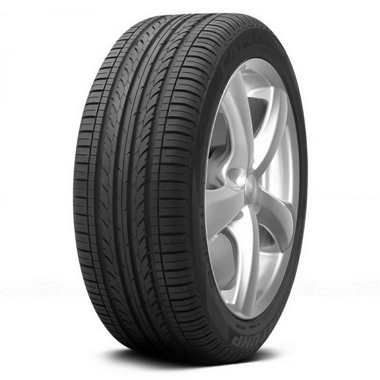 They are created to meet the requirements and needs of SUV, sports car, and truck driving enthusiasts shopping for the reliable tires with an interesting appearance and all-season tractions at reasonable prices. They are designed to provide you with responsive handling and excellent traction in dry, wet, and other harsh weather conditions. The structure of Sport UHP tires includes center ribs and linked shoulder blocks that guarantee perfect road handling and prolong their service life. Don’t forget about multiple angled and circumferential grooves that allow for water evacuation. These tires also have specially engineered sipes and more biting edges that generate a better traction in snow. Do you still hesitate to order Sport UHP tires? Well, I felt the same way before giving them a try, but now I know that they are good tires sold at quite affordable prices! The product I ordered looks outstanding and has a great profile, so I don’t regret placing my order. These tires ride smooth, are quiet (which is an important concern for many drivers), hold well, and have an excellent performance. When I let my car down, jack corners dug into them around one inch, but they don’t puncture, so I think I will keep using them! Hello everyone! I’m Mike Soloman and I’m happy to share my customer experience after buying and using Sport UHP tires. I must admit that they have great appearance and ride, perhaps, because they are produced with the same quality as many other brand tires. Their performance is perfect, regardless of their low price, and they are very quiet. I would only advise drivers to take things just a bit slower in the snow, but my rear-wheel car can handle it anyway. When driving it, I feel just like it’s on rails!